Last Sunday, our dear Vidhi officially launched Meals on Wheels in Mumbai. Rupali and Ketan lovingly opened up their home (our home — as they put it) and 25 of us were there; the youngest volunteer was three (he was helping us shell peas) and the oldest, 80. Fragrant heart-shaped flower rangoli greeted us at the door and throughout the home (we also got a glimpse of Rupali's incredible paintings — she's a gifted artist). Vidhi steered us beautifully and Rahul as well as Darpan anchored us throughout. So many hands and hearts came together that day. Reshmi drove an hour and a half to celebrate her birthday with us. Most of the people present didn't know one another, but through the spirit of what we were doing together, felt a strong sense of connection with one another. As Darpan noted, many people shared that they wanted to do something for the community around them, but they weren't sure about what they could do, so they jumped at the opportunity to offer their hearts for Meals on Wheels. Rahul and Kinnari set the tone of the morning by opening with a beautiful, deeply meaningful song about how love is meant to be shared and distributed. Love is like a wave, part of the great ocean, not like a contained puddle. Give because love always multiplies. So many present carried that spirit with them throughout. Vidhi spoke from her heart about the soulful connection she felt with everyone around and gave us poignant examples of how the lines between giving and receiving were often blurred and it was the love that flowed through us, the spirit with which we connected and offered the food and ourselves that mattered. It was lovely to hear her mother lovingly share that she was proud of her daughter's will and what came to fruition that day; she had always wondered about what Meals on Wheels was all about and it was special for her to share that experience with her daughter that day. Vidhi's aunt just wanted all of us to stay in that state of happiness. Kinnari's aunt who had bouts of fear on occasion, said she forgot all about how bad she felt in the presence of that much positive energy. Kinnari thanked everyone for coming from all parts of the city to be there that day. The Gandhi family that has served the community in Ghatkopar for a few decades now, were also present. We all felt the magic and power of Vidhi's positive intention that drew us together. Everyone shared in their own deep personal reflections about how the experience was about connection, happiness and the energy that we were putting out in the world — it was exciting to think about how far those vibrations would carry and how they would manifest. Thoughtful Vidhi sent us all an email in which she personally thanked each person for something specific that touched her. Sohum lovingly captured many of the beautiful moments on camera. Here is a beautiful short video on how Meals on Wheels began in Pune with Prem aunty; today she and Vinit anchor the cause there. Meals on Wheels can be held at any home, with any number of people. On average, four get together, but even two or three people could get together, hold this intention and experience the joy of connecting with one another and everyone around. Please contact Vidhi at vidhidesai1993@gmail.com or on 8055379362 to get on the mailing list, to offer your home one Sunday (or any other day of the week that works for you), or to participate wherever Meals on Wheels is being held. It's portable and we hope it will, with your love and support, take root and rotate in different parts of the city organically. If you feel moved to write Vidhi a note about how you feel about her incredible work, please do. I am amazed to see how one lady can be a change originator. I like to acknowledge your generous divine character. Please let me know if any family in Lucknow is doing such a noble task. To be able to fill a tummy with food and a heart with love truly is the meaning prasad. The lives you all impacted and will continue to touch are too great to count and the manner is too difficult to explain. So I will carry on with my day with a smile in my heart. Thanks for lighting up my day. Deep gratitude to so many of you, and particularly Sheetal-bhai, Khush di, Mumbai meals on wheels team for showing me the way. 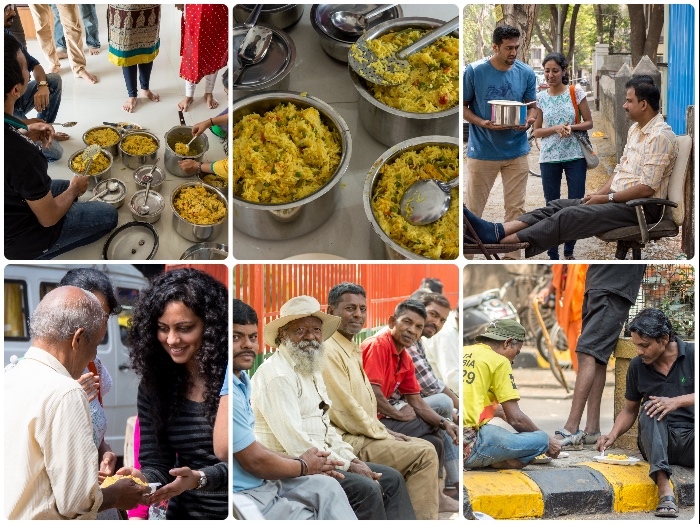 Inspired from mumbai meals on wheels, We've recently started to incorporate circles into our weekly Meals on Wheels volunteering -- and again this week, we all felt like the whole experience went deeper. A volunteer shared how he was touched by statement of a homeless person when he said, "My hair have gone white from black but not once in my life someone spent time See full. Deep gratitude to so many of you, and particularly Sheetal-bhai, Khush di, Mumbai meals on wheels team for showing me the way. 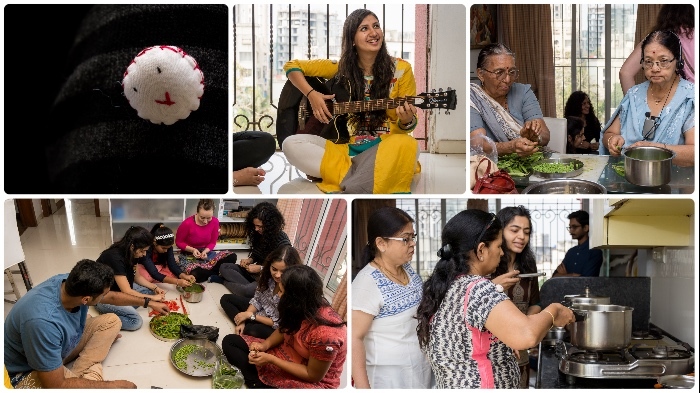 Inspired from mumbai meals on wheels, We've recently started to incorporate circles into our weekly Meals on Wheels volunteering -- and again this week, we all felt like the whole experience went deeper. A volunteer shared how he was touched by statement of a homeless person when he said, "My hair have gone white from black but not once in my life someone spent time with us and had a meal with us." Oh, and we've just put up a detailed guide for running Karma Meals: (see link) , so anyone can do this in their locality. Amazing thought process and large kind heart of all team members, next time I am in India can I volunteer for the cause? I was a part of this cause and truly it was amazing. You feel divine by sharing. So much of inner peace and happiness you get cannot be defined. Only one thing I would conclude. Have an attitude of Gratitude and be a giver always. As Chairman & President of Meals On Wheels of Tampa (USA), I commend you on your incredible work here, Vidhi!